A senior prosecutor has warned school children could use the Easter Holidays to flee the UK and join the Islamic State because head teachers have failed to report at-risk youngsters to authorities for fear their schools would be investigated. Nazir Afzal said although schools are concerned about the possible disappearance of teenagers over the holidays, staff members were not reporting students in case they become criminalized. Afzal, who stood down as chief crown prosecutor for northwest England on Tuesday, told the Times that head teachers had personally told him at least a dozen male and female students at two London state schools may have been ‘groomed and seduced’ by the Islamic State (IS, formerly ISIS). “One head said he was being approached almost on a daily basis by parents who fear their kids are about to go to Syria,” Afzal said. “Both said they were scared of the Easter break and would be relieved if all their pupils came back after the holidays,” he added. Afzal said the two head teachers “had no idea what advice to give the parents” and had said there was a lack of “face-to-face support” for young people who are vulnerable to online radicalization. Afzal’s remarks come after a spate of school pupils have deserted the UK and made their way to join the IS in Syria. In February, four girls from the Bethnal Green Academy in east London traveled to Syria via Turkey. They paid for their flights to Istanbul in cash before crossing the border into the war-torn country. A further four pupils from the same school were prevented from traveling and monitored by anti-terror services after their parents alerted police. 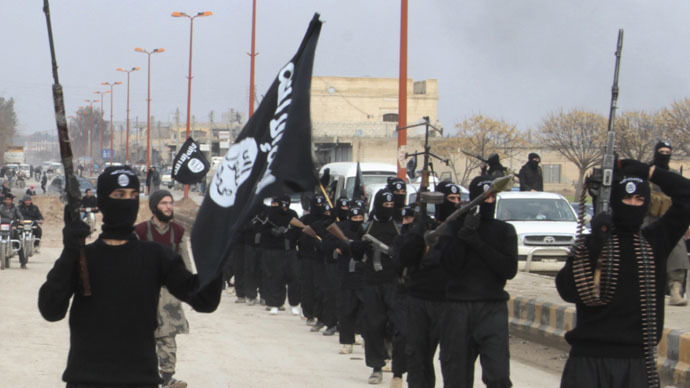 It is believed that around 600 Britons, mostly teenagers and young adults, have joined the IS since 2013.